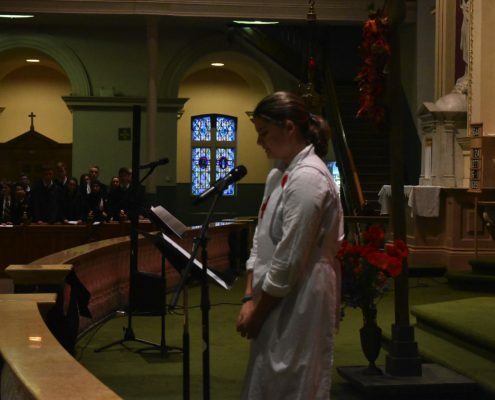 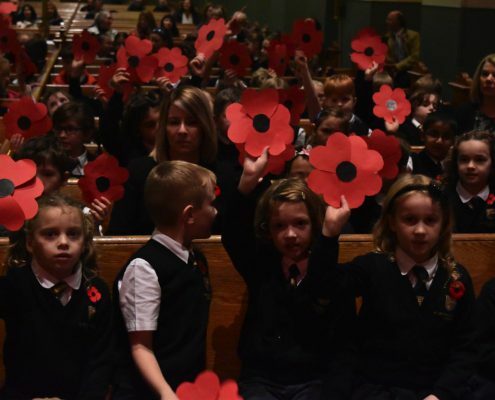 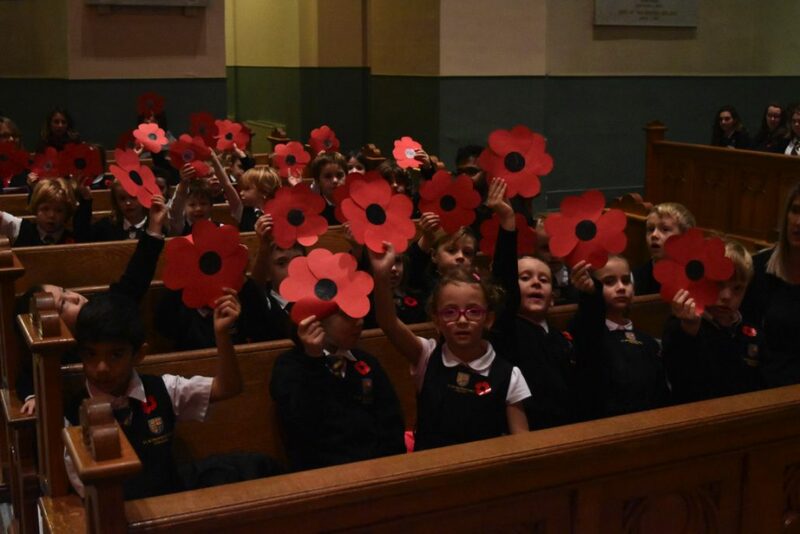 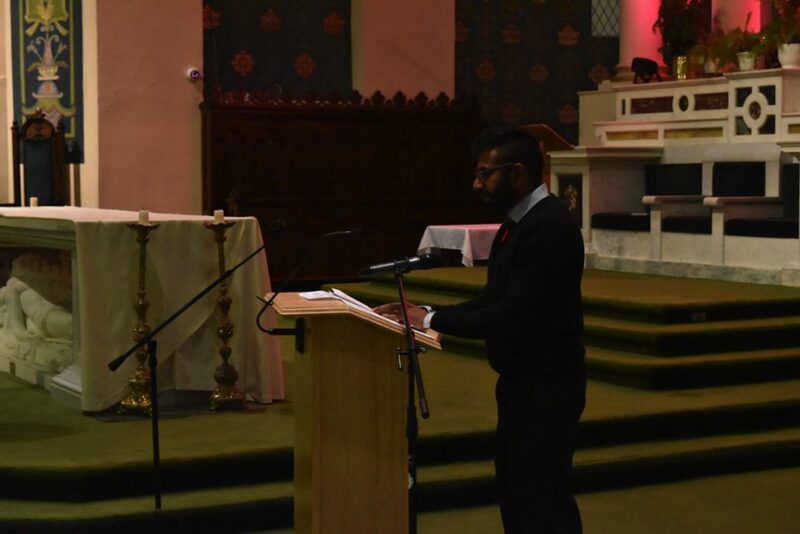 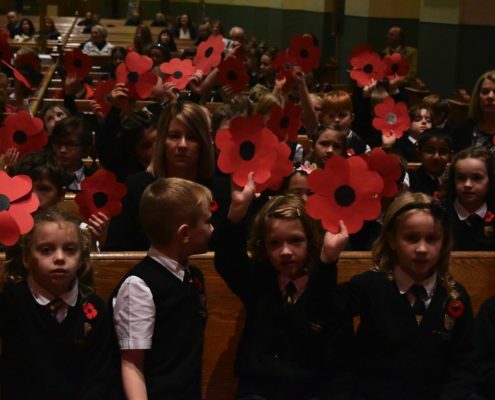 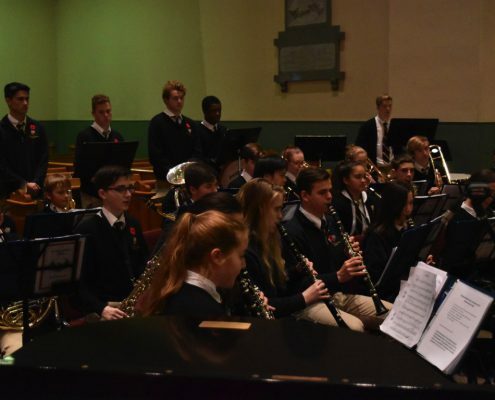 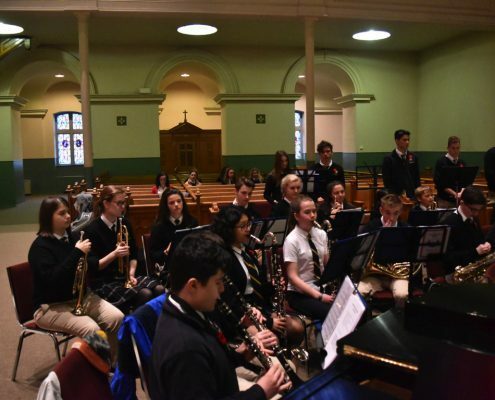 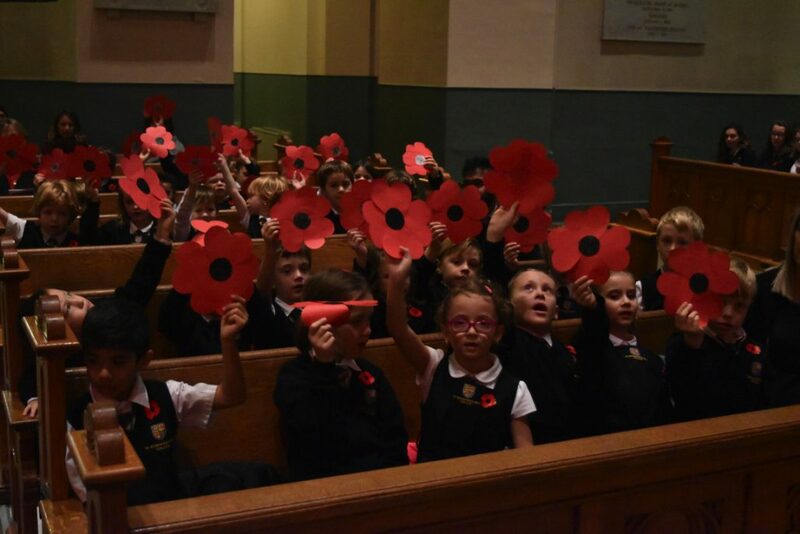 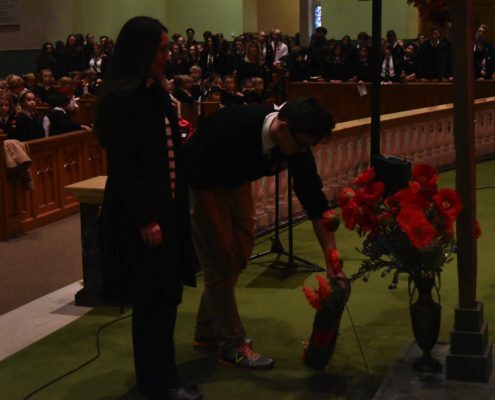 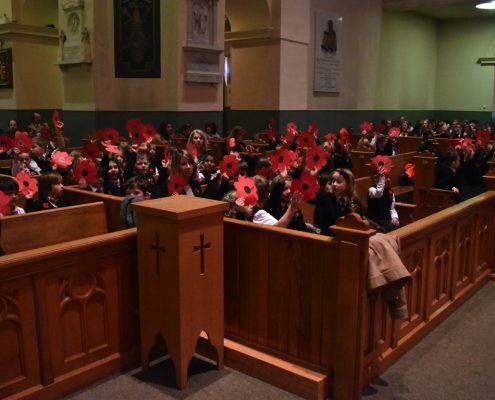 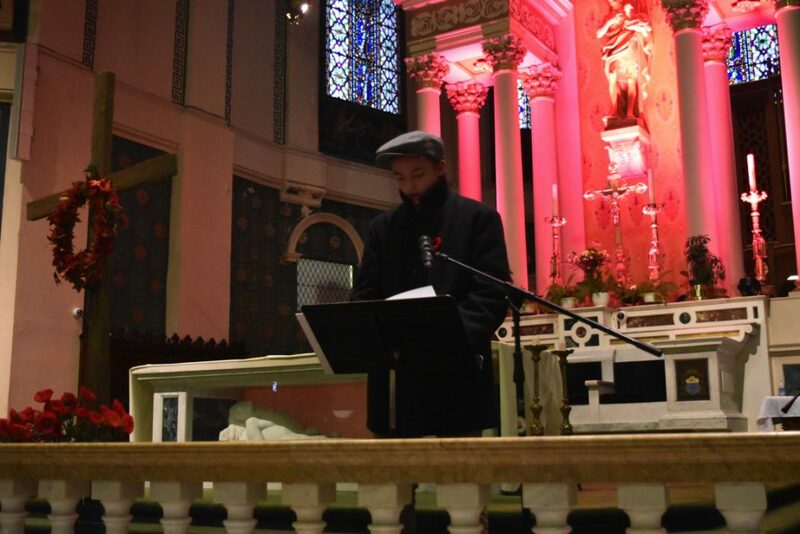 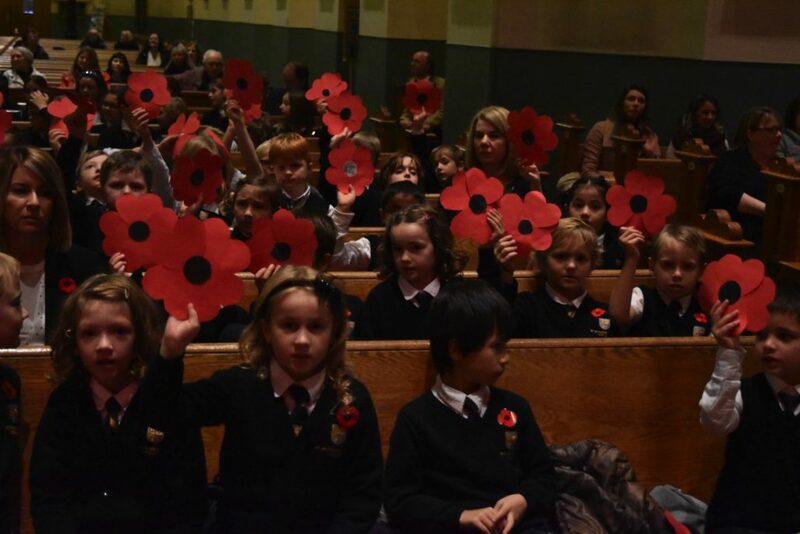 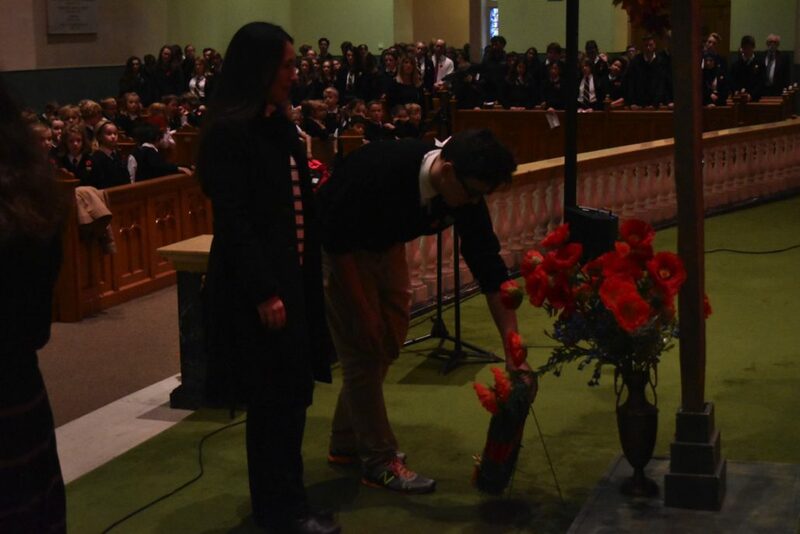 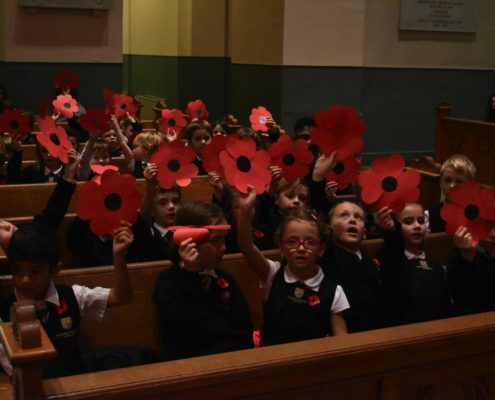 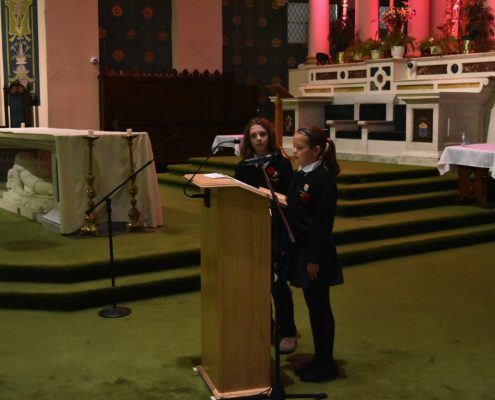 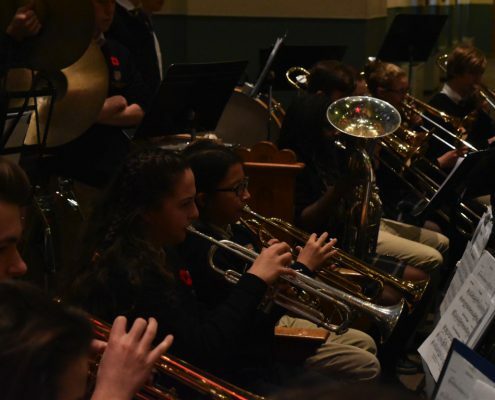 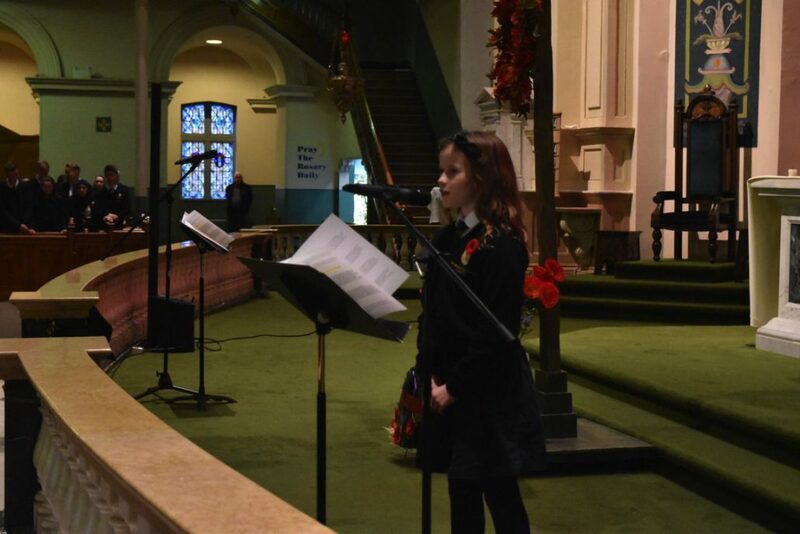 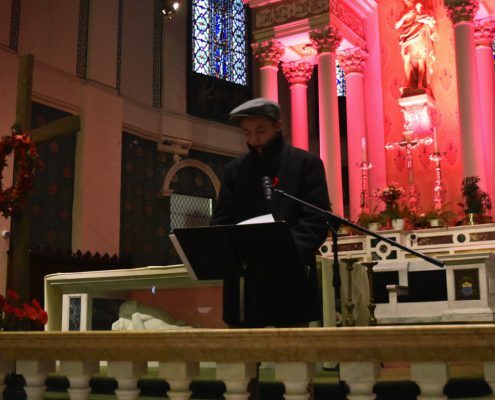 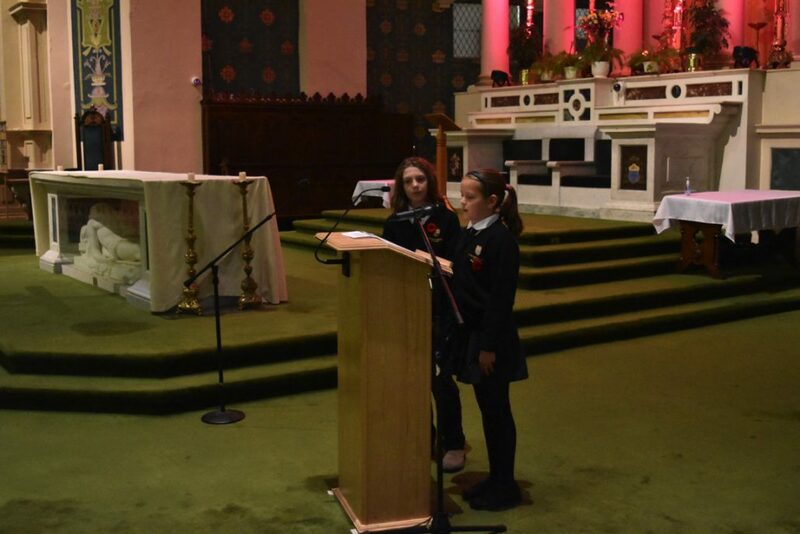 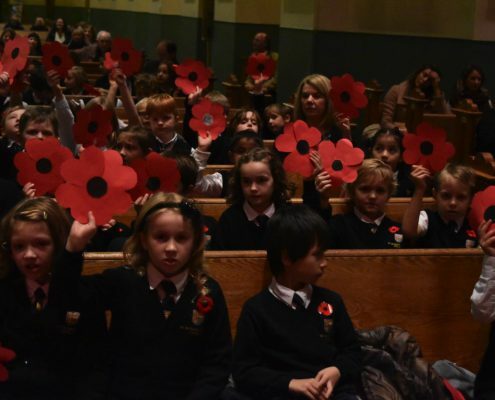 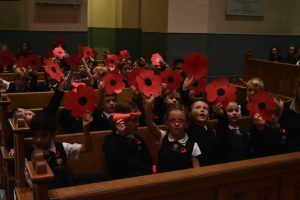 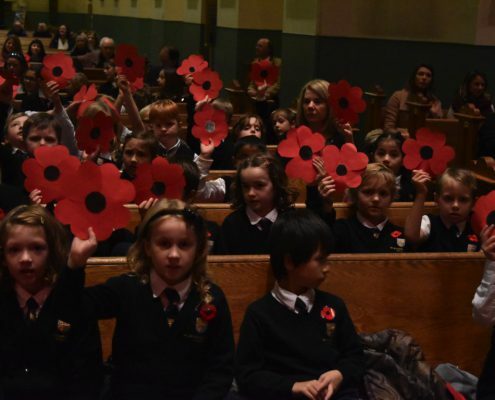 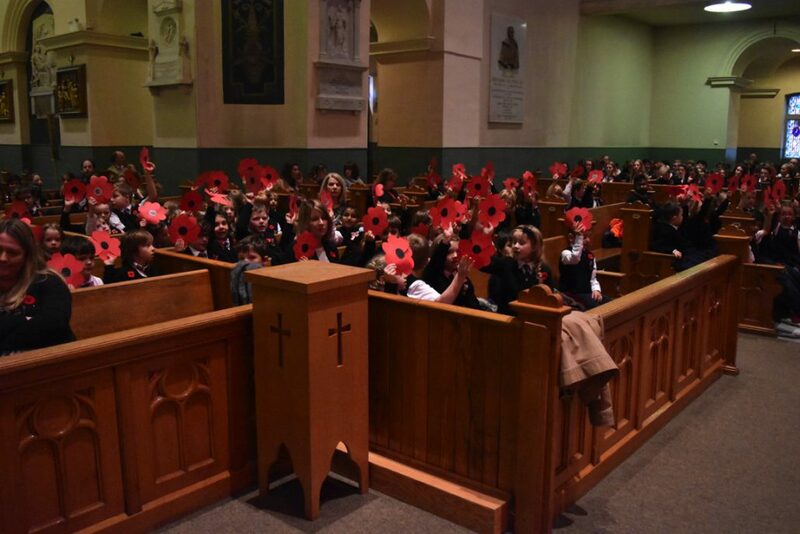 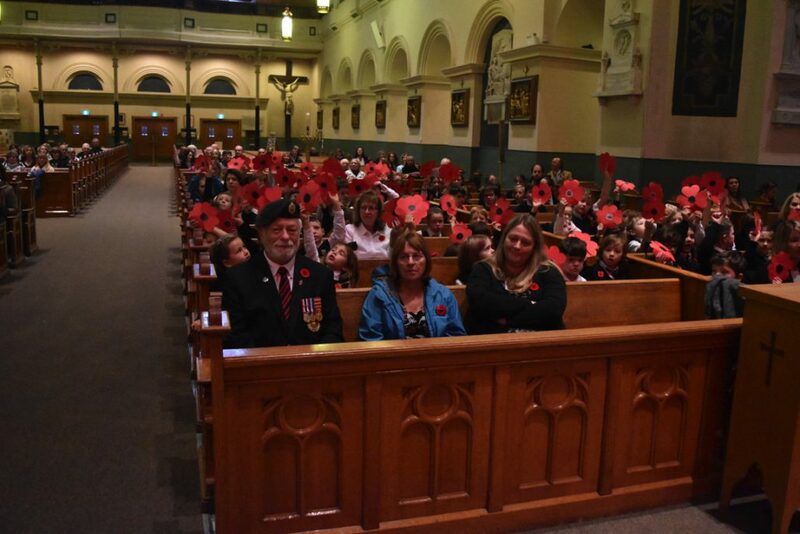 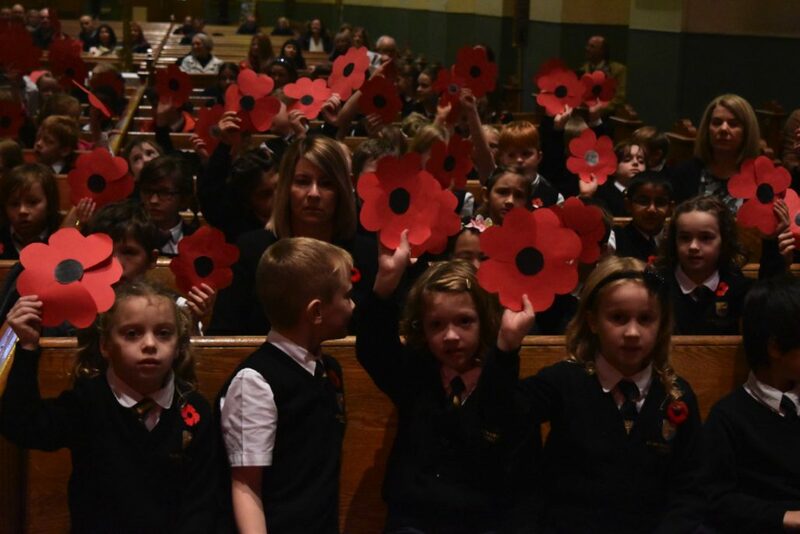 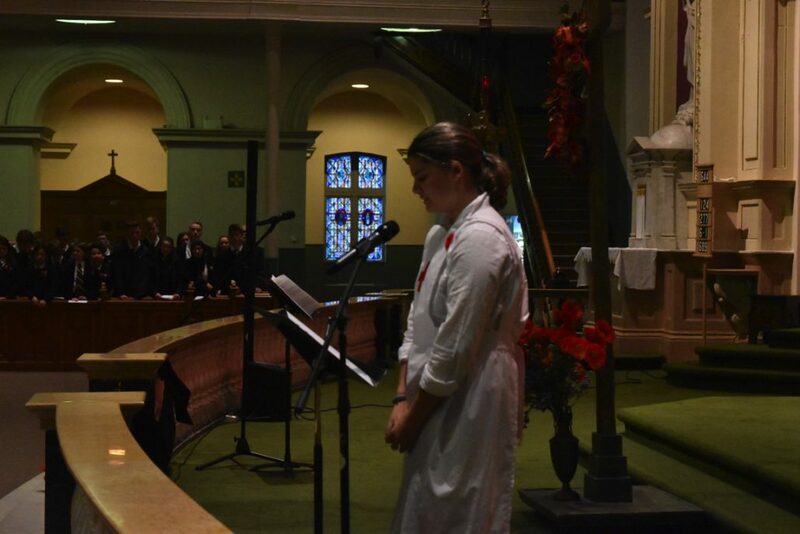 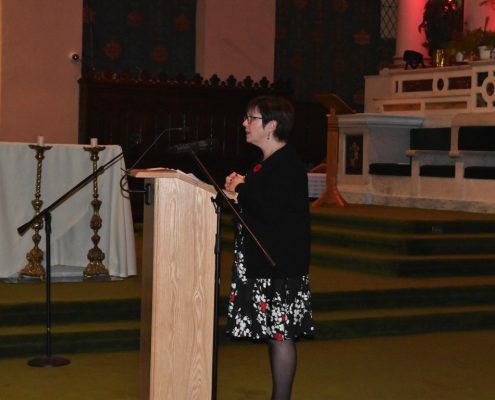 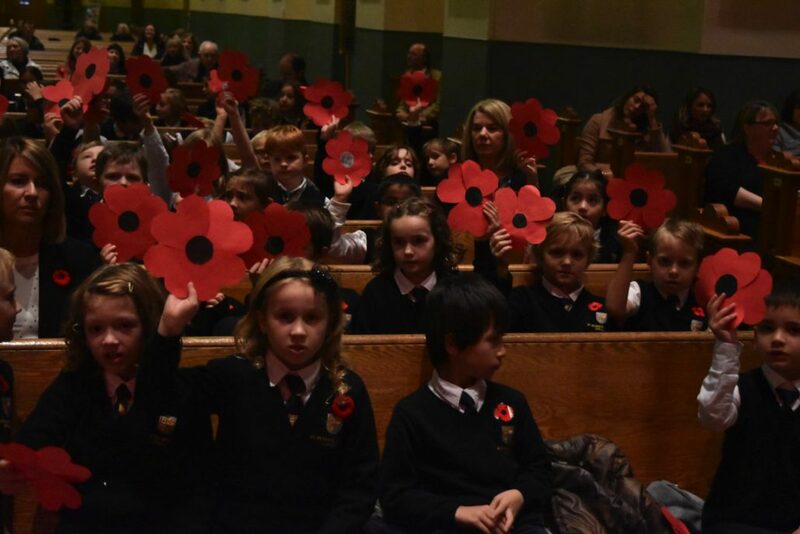 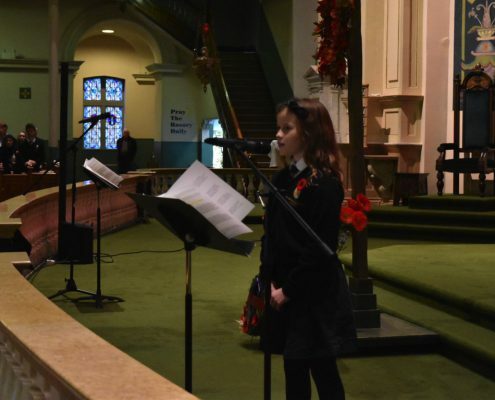 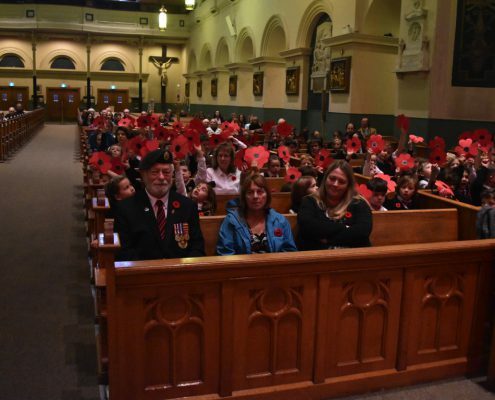 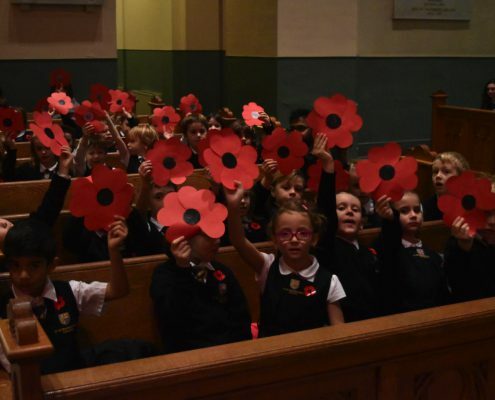 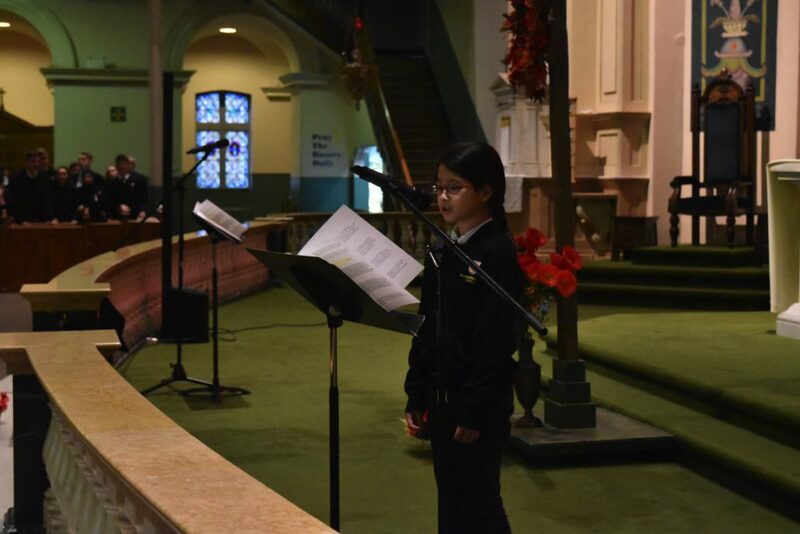 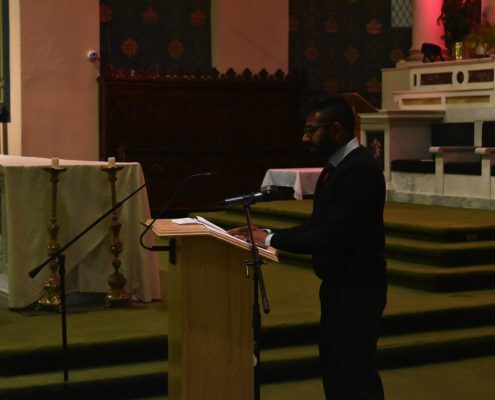 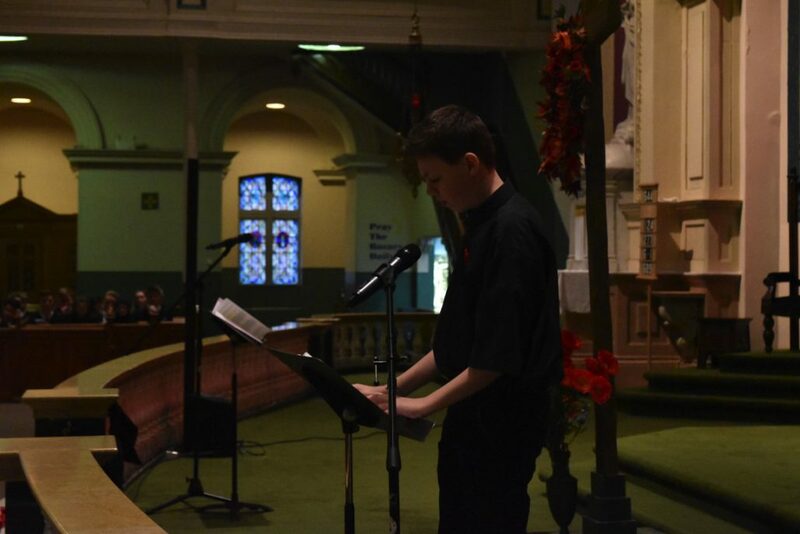 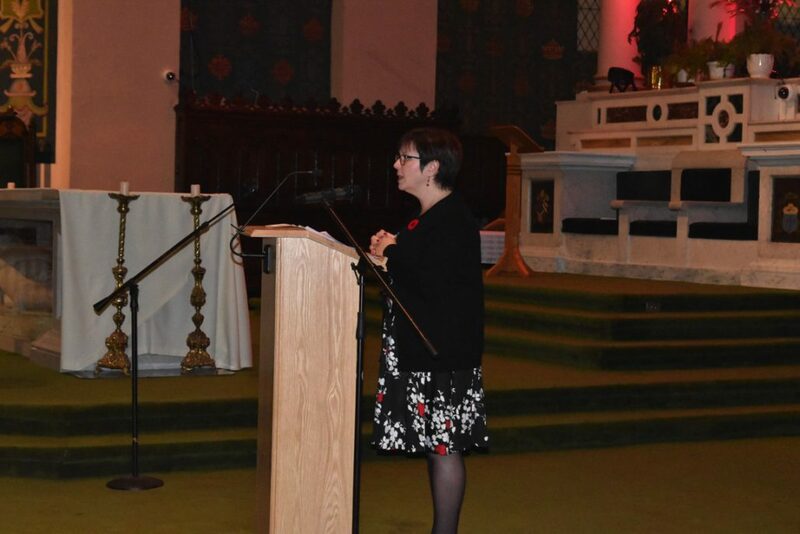 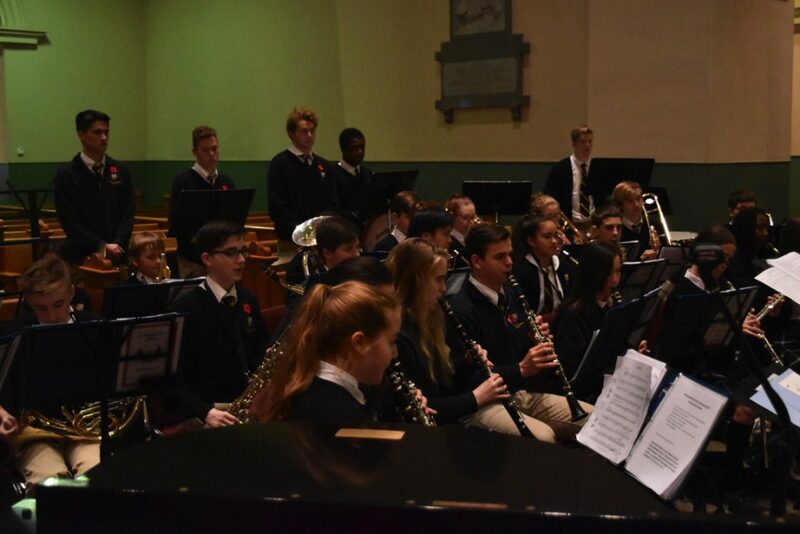 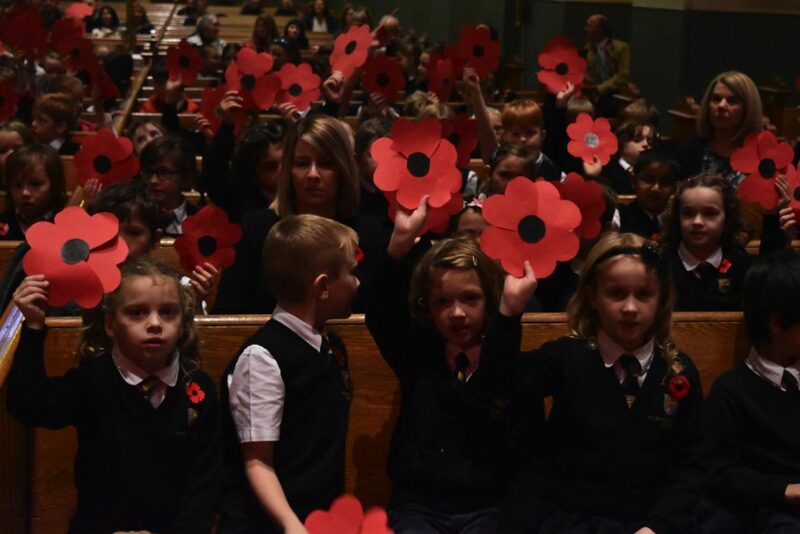 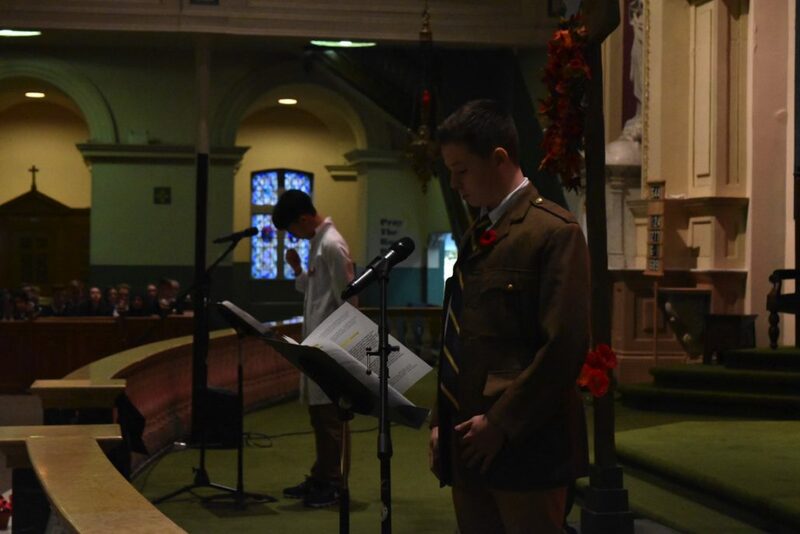 On Thursday, November 9th, St. Bonaventure’s College held its annual Remembrance Day Ceremony at The Basilica of St. John the Baptist. 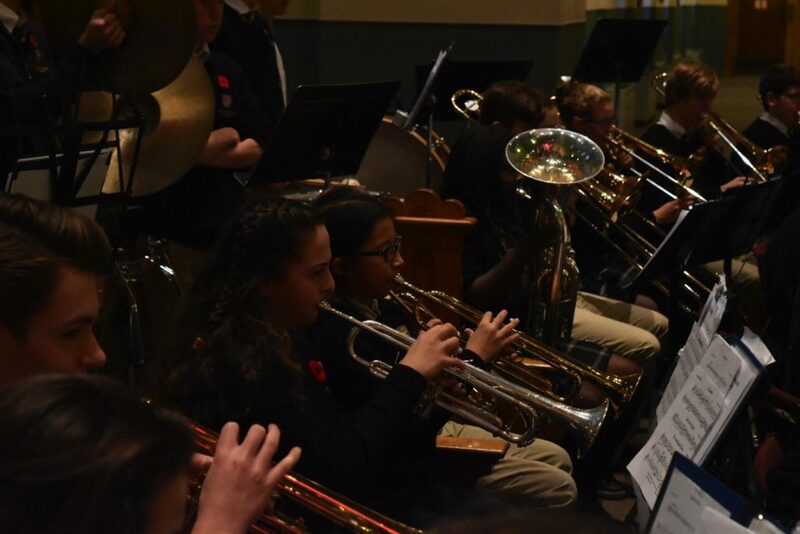 The Wind Ensemble provided beautiful and moving orchestra music while the Grades K-6 choir sang en masse. 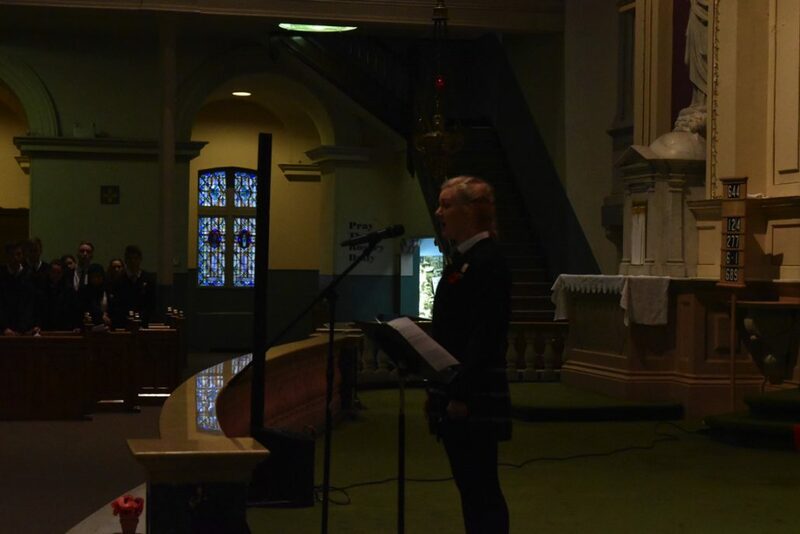 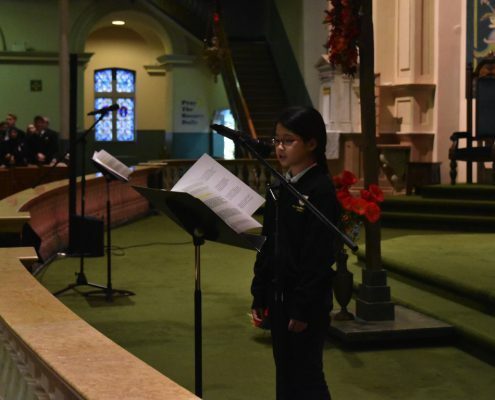 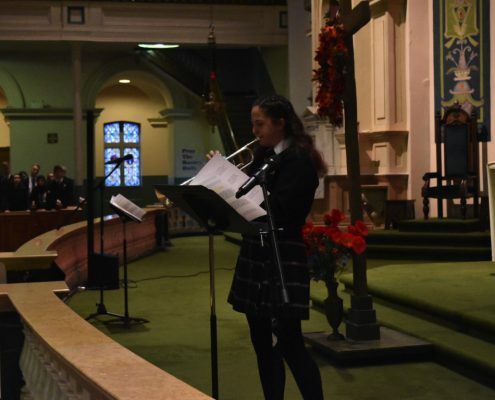 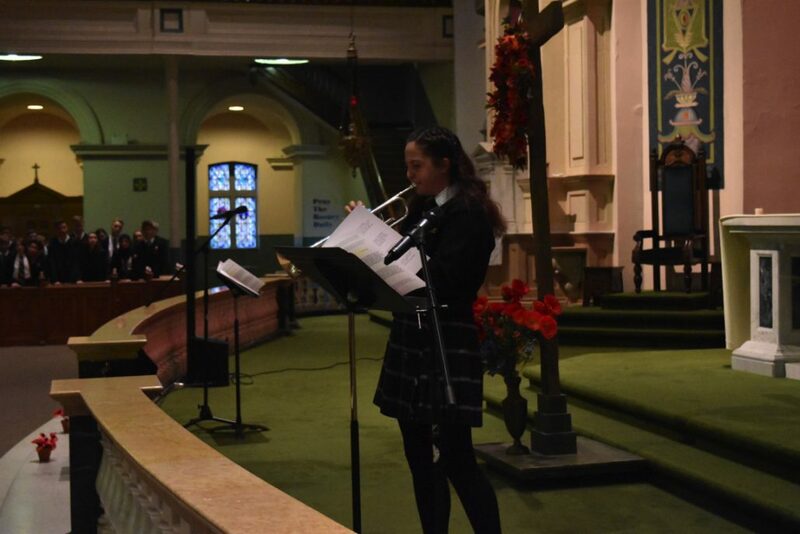 Thank you to choral soloists Anna James (Grade 11), Ava Jane Seymour (Grade 4), and Addison Lee (Grade 4) for sharing their beautiful voices and Ashley Stringer (Grade 11) for regally playing the Last Post on trumpet. 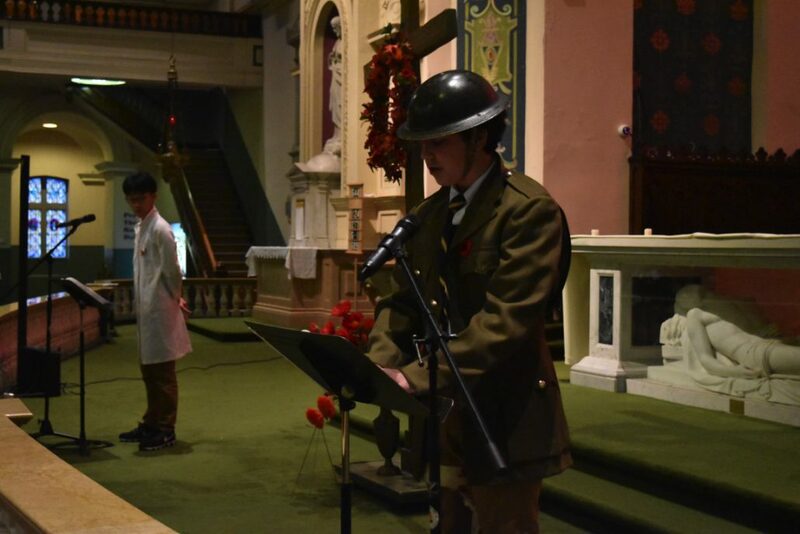 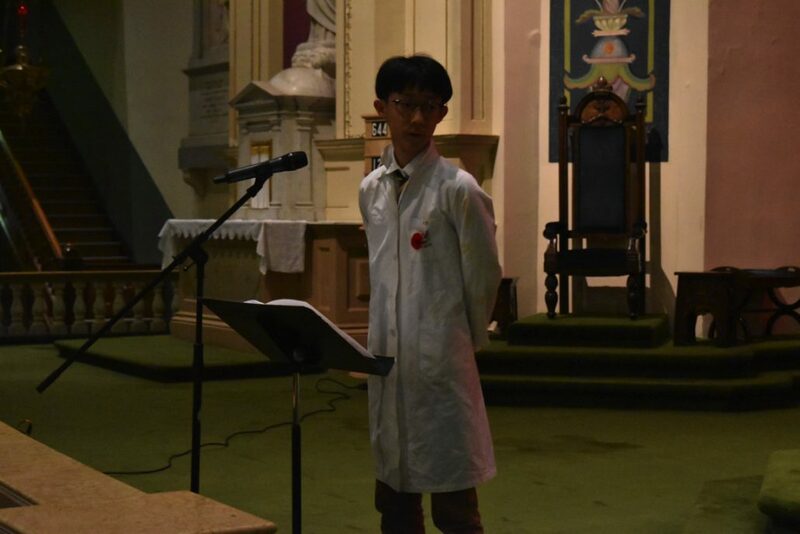 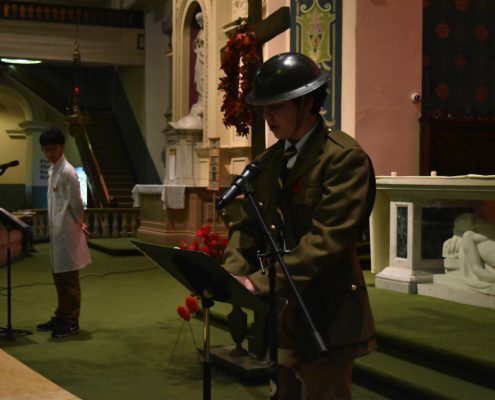 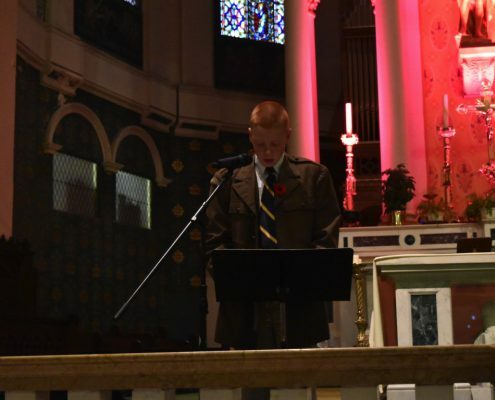 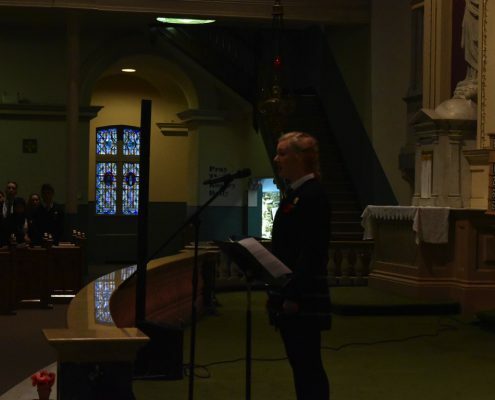 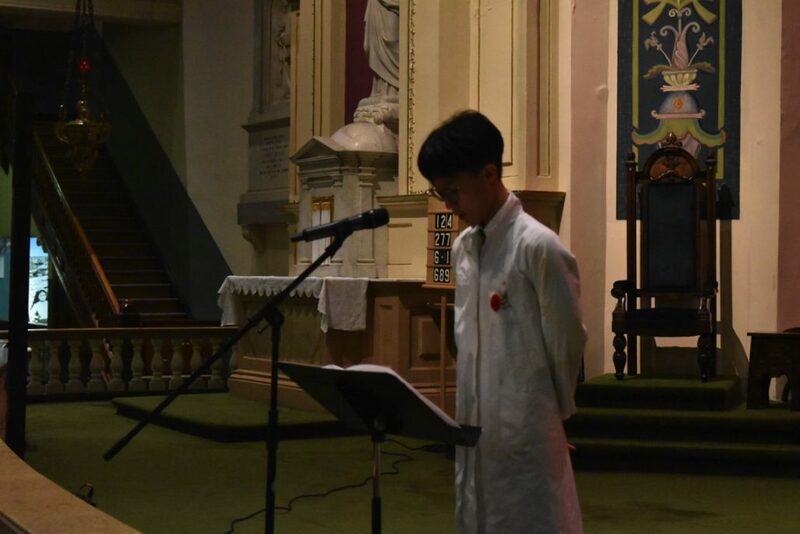 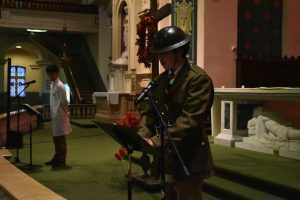 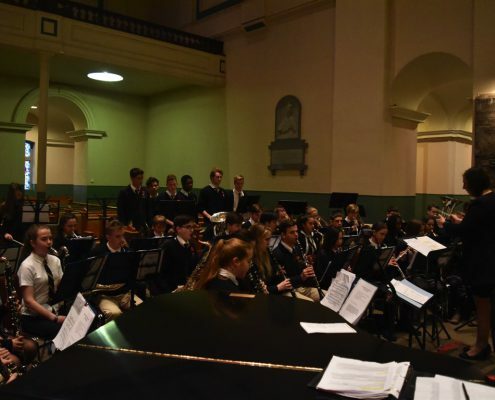 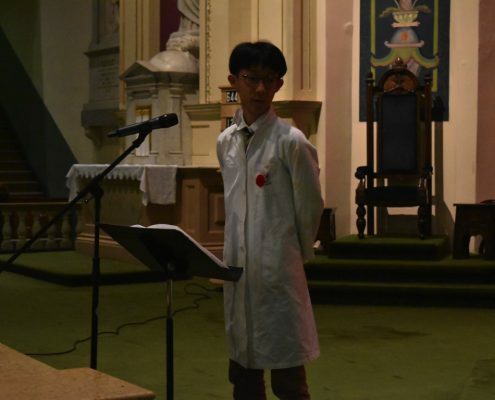 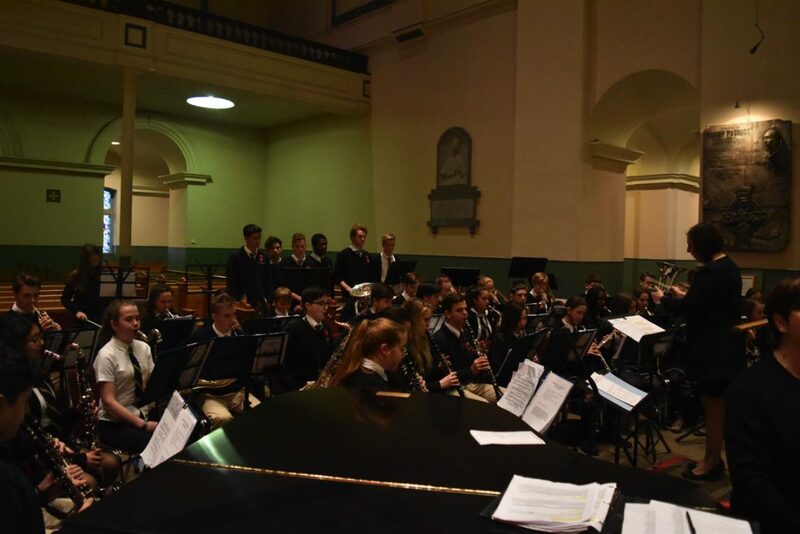 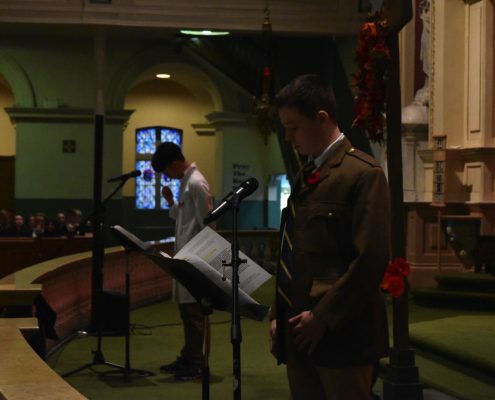 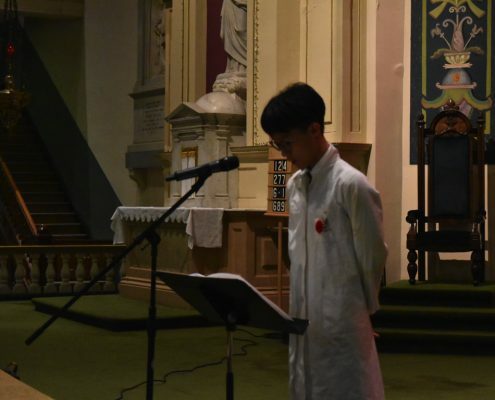 Grade 9 students Jack Melendy, Zoe Breakspear, Matthew Whelan, Peter Cho, Ben Mason, James Noftall and Colby Stephen presented a sombre dramatic reflection, paying tribute to the fallen soldiers who bravely gave their lives in war. 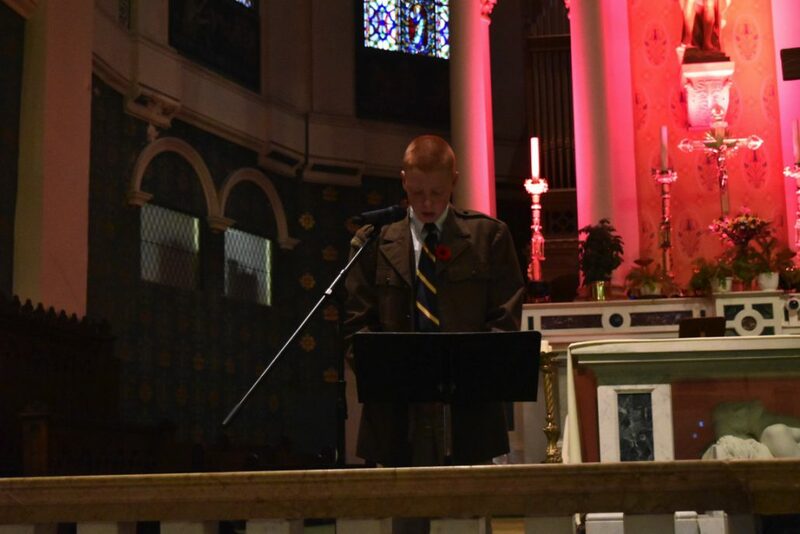 Thank you to all others who contributed, including Jackson Breen (Grade 10), Ms. Barbara Mason (Board Chair), Claire French (Grade 5), Sean Hogan (Grade 6) and Mr. Raj Vijayakumar, S.J. 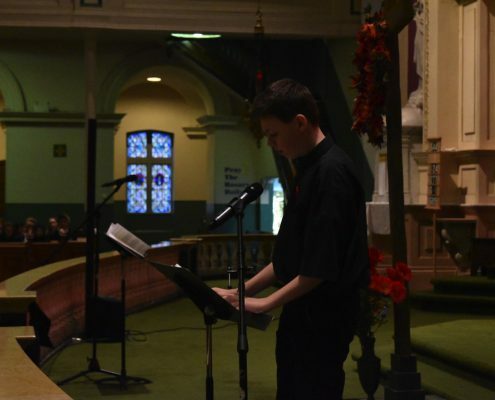 (Co-Director of Campus Ministries). 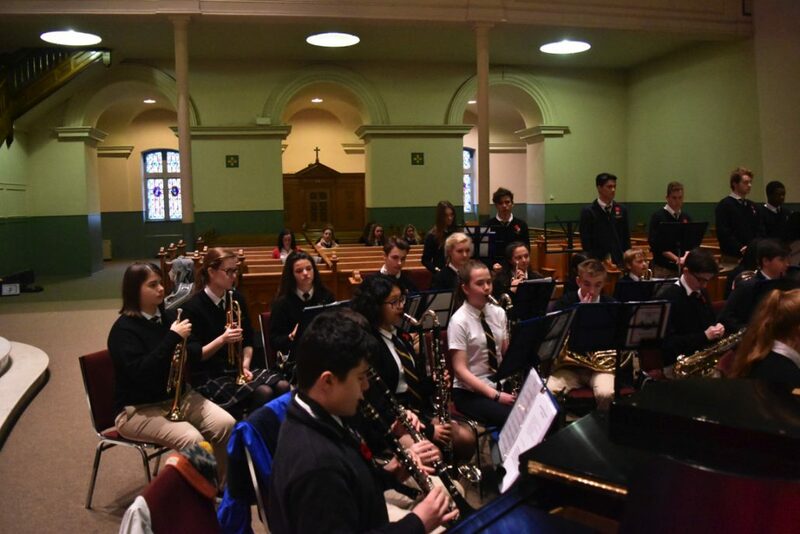 A special thank you to the committee, consisting of Principal Mrs. Annette Mallay, Dean of Strategic Initiatives Ms. Allison Anderson, Choral Director Ms. Brenda Gatherall and Band Director Ms. Vincenza Etchegary for putting together this moving ceremony.